The USCHS commissioned an artistic interpretation of Barack Obama giving his inaugural speech on the West Front of the U.S. Capitol, January 20, 2009. 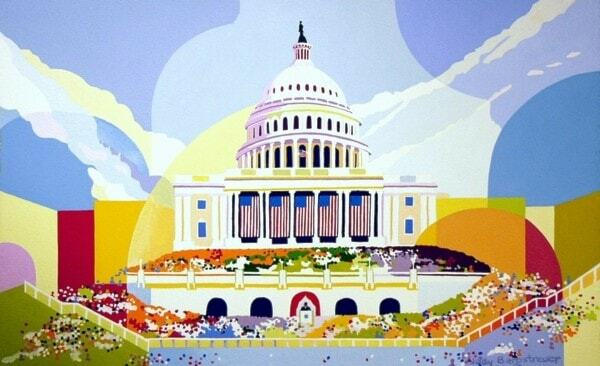 The artist, Jody Bergstresser of Washington DC is known for her vibrant and stylized gouache paintings. The 11" x 15" screen image (paper size 15.5" x 22") was printed in DC and limited to 100 prints. Available for sale are 04/100. 05/100 and 06/100. Made in America.